Lamborghini URRACO 3000 Parts Catalogue. Lamborghini Car Manuals PDF & Wiring Diagrams above the page. The history of the famous Italian sports car brand, named after its founder Ferruccio Lamborghini started almost 50 years ago. Ferruccio owned by Lamborghini Trattori, which produces agricultural machinery, particularly tractors, which are decorated with the logo of the owner - ready to attack the golden bull. But Lamborghini cherished dream was to create the world's best high-speed car, as all machines with which it is faced, did not satisfy him, no specifications or quality and workmanship. 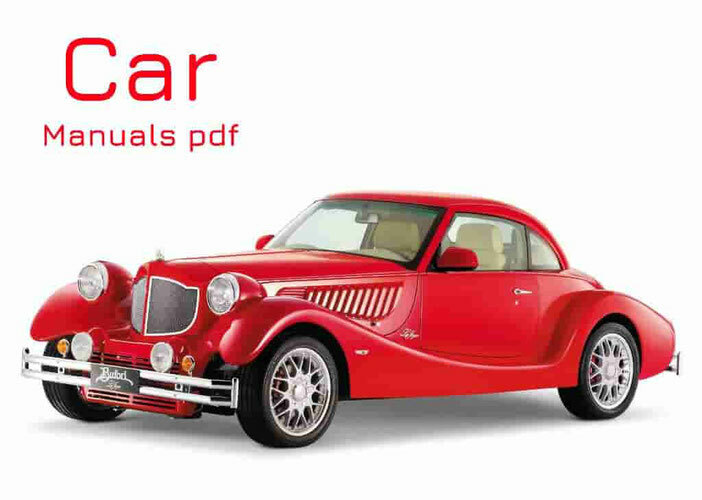 It was a crazy idea, because to compete with the popular Ferrari (Manuals page) sports car was not possible. However, this did not stop the ambitious owner of a tractor company, and it creates a subsidiary, called Automobili Ferruccio Lamborghini SpA. Begins work on the creation of the first Lamborghini vehicle. Sam Ferruccio had a good knowledge of the automotive industry, but it was not enough. It was necessary to attract these specialists in on a sports car. By coincidence, the owner of the company Ferrari Enzo Ferrari because of its heavy character took several of the company's leading engineers who are enterprising Lamborghini immediately lured to her, starting fast work on the first child of his company. And now, in October 1963 at an auto show the first Lamborghini vehicle mockup sample was presented to the general public Turin. The presented prototype Lamborghini 350 GTV was 12-cylinder V12 engine of 3.5 liters. and the capacity of 347 horsepower. It was a two-seater coupe in the classic layout. The maximum speed that can develop a supercar was 280 km / h and 100 km / h car accelerates in just 6,7s. New cars manufactured by Lamborghini, has become the emblem decorating the bull as on tractors. Symbolically it or not, but most cars Lamborghini named names from the world of bullfighting. Shortly after the Geneva Motor Show Lamborghini 350 GT was put into mass production, and 120 cars were produced for the next four years. Within six months, at the Geneva Motor Show successfully debuted the production version. Such vehicles since 1964 only 120 units were produced for the years 1968. Next model - Lamborghini 400 GT - already had a 4 liter engine. imoschnost 320 horsepower and top speed, to develop the car, it reached 250 km / h.
Lamborghini cars are the first in which the motor is located across the car on a special frame behind the driver. Designers gave the Miura original form, and in the period from 1967 to 1973, was released about 800 copies, thanks to which Lamborghini has become known throughout the world. In 1968 she made her debut Islero 400 GT and Espada, one of the most popular cars in the history of the company model. Espada was the first 4-seater Lamborghini, which is positioned as a "family supercar". In the ten years since 1968, it was released and sold over a thousand units of cars. In 1970 came the publication of cars smaller dimensions - Lamborghini Urraco P250, having an 8-cylinder mid-mounted 2.5-liter engine. 791 cars were produced for the first 9 years of production. Also new this year was presented - Jarama 400 GT (V12 engine capacity of 4.0 liters). In 1980, at the Geneva Motor Show, Lamborghini presented a revolutionary concept car Lamborghini Countach, the appearance of which created a furor. Equipped with a 365-hp motor car had engine capacity of 4 liters. and a top speed of 300 km / h. The prototype was equipped with a vertically opening doors and rear air intakes. Since 1974 until 1990 the company released the 2042 cars of this model. Since the beginning of the 70's automobile companies began to experience an economic crisis that has hit the company and Lamborghini. The decline in sales and a shortage of funds forced Lamborghini to sell shares of the company. However, the new owners did not pay due attention to the interests of the company and did not involve new funds. In 1976, the company at the Geneva Motor Show next novelty - Silhouette, equipped with a V8 engine with a capacity of 3 liters and having a capacity of 250 horsepower. It was the first car targa released by Lamborghini (with removable roof). Machines of this model produced was only 52. In order to solve the financial problems Lamborghini management has concluded a contract with BMW (Manuals PDF page) for bringing the issue and 400 sports cars E26, which later became known as the BMW M1. By execution of this order Lamborghini, the company received a large loan from the Italian government. Lamborghini is also the company in cooperation with the American company Mobility Technology International has been developing for the US Army with a high-speed off-road engine Chrysler (PDF Manuals page). Unveiled at the Geneva Motor Show in 1977, Cheetah, caused quite a stir. Cheetah prototype testing was introduced in the same year. He showed quite good results, but it was not accepted by the customer for a number of reasons. Failure to comply with the obligations under the contracts and the lack of funds has meant that Lamborghini 1978 the company came under state control. At the same time, there is a car Countach LP400S (4-valve engine with 455 hp), which became the most sold in the entire history of Lamborghini. In 1980, Lamborghini has new owners - Mimran brothers who began to revive the company. This period was marked by the appearance of a sports model Lamborghini Jalpa (targa body and 255-hp V8 engine volume 3,5l) and SUV LM001 (4,7-liter V12 or the 3.6-litrovyye V8 engines) on the basis of Cheetah concept and modernized version of LM002 (V12 engine capacity of 455 hp and a volume of 5.2 liters.). Later there were models that were equipped with the 5.7-liter engine from the of Diablo, and the 7.3-liter, which were installed on the racing boats. Until 1993, the company produced 301 SUV. Cooperation with the American concern Chrysler Lamborghini breathed into the company new life. The development of a Lamborghini Diablo, which led the company to a leading position in the automotive industry. Only a few modifications Diablo put on the market: Roadster SV (removable roof and drive only on the rear wheels), Diablo SV (hardtop), Diablo SVR and Diablo VT (all-wheel drive version). During the global market crisis, the company Lamborghini has moved into management guidance MyCom Malaysian and Indonesian companies V'Power, and eventually became the property of Audi AG, which is a subsidiary of Volkswagen AG (Manuals page). In 2001 the company introduced the successor to Diablo - Murcielago, which was the Belgian designer Luc Donkervolk. New Lamborghini is equipped with a more powerful 580-horsepower engine of the V12 6,2l, which allows you to reach speeds of 330 km / hr., And received a spacious and comfortable lounge. After Murcielago was presented Lamborghini Gallardo, which has become a mass Lamborghini model. And at the Paris Motor Show a new supercar Lamborghini Estoque (V105,2-liter 500 hp engine) was announced in 2008. The company currently relies on Lamborghini LP560-4, which is equipped with a V12 engine capacity of 5.2 liters and output of 552 horsepower. Dispersal car to 100 km / h takes just 3.7 seconds., And another for 11.8 seconds. typed the maximum speed - 325 km / h.